Welcome to Nolan USA! 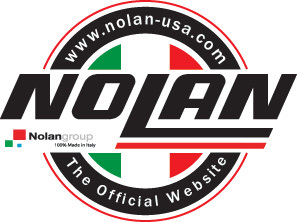 The official web site for Nolan helmets and N-Com communications in the United States. 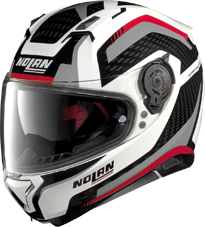 We are your direct source from Nolan for your helmets, spare parts and accessories. Nolan helmets have been manufactured in Bergamo, Italy, since 1972. Started by Lander Nocchi, Nolan is proud of their Italian heritage. When all the other helmet manufacturers moved their production to the Far East to produce cheaper products, Nolan decided to keep their factory open and all their workers employed. Their goal is to offer high-value products with innovative features at the best price. Manufacturing in their own factory in Italy allows Nolan to exert extraordinary control over the quality of their products. They use all the best materials available, and manufacture every part of every helmet in house. 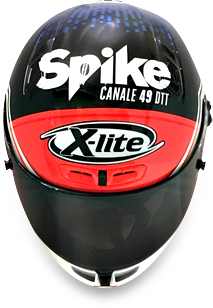 They have their own research team and their own test lab to ensure that every helmet conforms to the safety standards of all the markets around the world. All Nolan helmets are covered by a 5-year limited warranty and all Ncom communications products are covered by a 2-year limited warranty. - We install and troubleshoot all the Ncom communication systems. We pride ourselves on the quality of our service: we try to ship all parts orders the same day that we receive them. We usually fix helmets the same day that we receive them. We understand that our customers do rely on their Nolan for riding and we don’t keep your helmet any longer than truly needed. If you need anything for your helmet, please don’t hesitate to call us. We are here to help. Follow us on Facebook to receive the latest Nolan news.